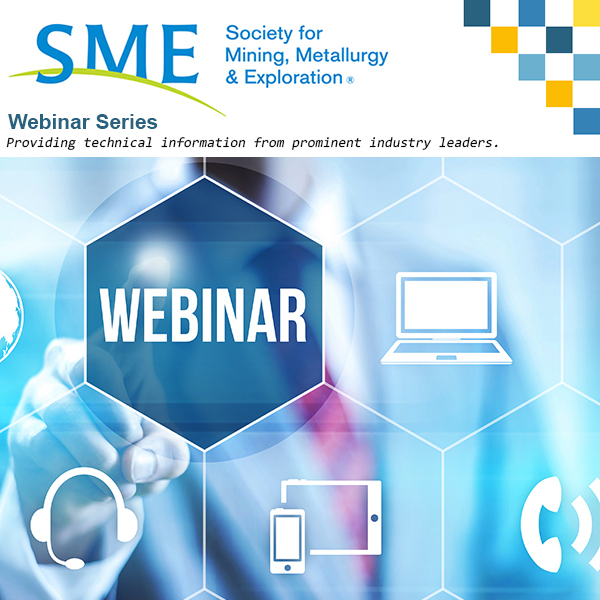 SME Webinar: Maturi Deposit - Updated Mineral Resource Estimate and Updated Drill Hole Spacing Study - Society for Mining, Metallurgy & Exploration Inc.
Maturi Deposit - Updated Mineral Resource Estimate and Updated Drill Hole Spacing Study is presented by Douglas Reid, Principal Geological Engineer, Wood Plc Mining and Mineral Consulting. The Maturi Deposit is located near Ely, MN. Various drill programs were conducted in the area since the 1960s; multiple resource estimates have been completed over the years. The updated mineral resource estimate was completed in 2014. In 2018, revisions to the planned production rate led to a request from TMM to update the drill spacing study to determine the spacing necessary to classify Measured and Indicated Resources. The geological model was generated based on logged intervals and then refined based on results obtained from Principal Component Analysis (PCA). Gridded surfaces for the various geologic units were constructed using Vulcan™ Gridcalc modeling functions. A stratigraphic model of the principal S3 and S2 units was developed by dividing the calculated S3 unit thickness into five equal units and the S2 unit thickness into three equal parts. In addition, four structural domains were defined to aid in orientation of search ellipses and to refine variography. From these data, confidence limits were developed and the drill spacings necessary for Measured and Indicated Mineral Resources were determined. This webinar will discuss the data and subsequent updates.